The debate between proponents of Darwinism and those of Intelligent Design has reached the status of a full-scale public battle. With stories of qualifying statements about evolution in public school textbooks and the recent 70th anniversary of the Scopes Monkey trial in the news, the question about our origins will not be put to rest. 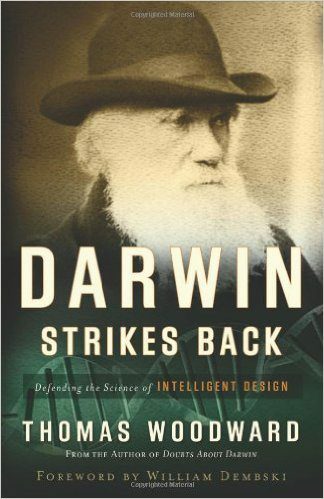 Following up his award-winning Doubts about Darwin, Thomas Woodward traces the continuing saga of the ID movement in Darwin Strikes Back. Focusing on the emerging key players on both sides–Michael Behe, William Dembski, Kenneth Miller, Robert Pennock, and more–Woodward helps readers navigate the tangled maze of public debate, including anti-ID activism from Christians, and shows them what might be coming next.